Full formal verification is possible. 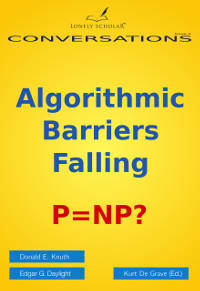 Unfortunately, computer scientists promote, and some believe, these over-simplified statements themselves. 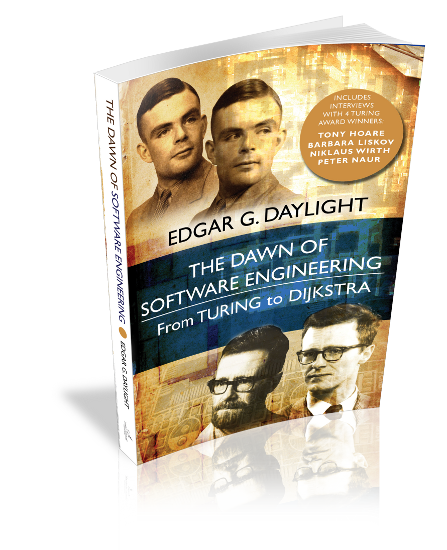 Technically inaccurate accounts have been written about Turing's purported legacy and about allegedly important topics that carry his name (such as `Turing completeness' and `Turing universality'). 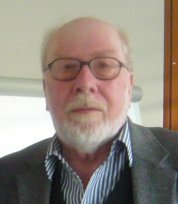 Much needed rectifications are provided here for the sake of obtaining conceptual clarity and making computer science a slightly more mature discipline. "One of the difficulties in thinking about software is its huge variety. A function definition in a spreadsheet cell is software. A smartphone app is software. The flight management system for an Airbus A380 is software. A word processor is software. We shouldn't expect a single discipline of software engineering to cover all of these, any more than we expect a single discipline of manufacturing to cover everything from the Airbus A380 to the production of chocolate bars, or a single discipline of social organization to cover everything from the United Nations to a kindergarten. 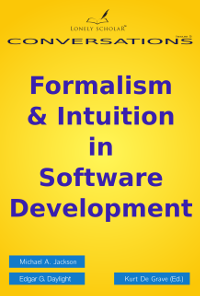 Improvement in software engineering must come bottom-up, from intense specialized attention to particular products." 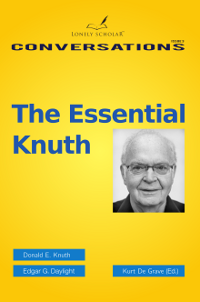 Donald E. Knuth lived two separate lives in the late 1950s. During daylight he ran down the visible and respectable lane of mathematics. 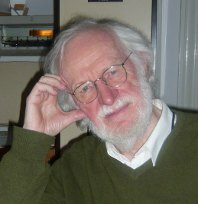 During nighttime, he trod the unpaved road of computer programming and compiler writing. 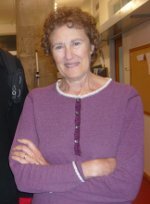 "A rich and fascinating account of the time when software engineering was a compelling intellectual discipline at the center of computer science." 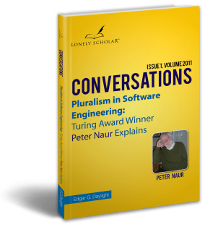 Pluralism in Software Engineering: Turing Award Winner Peter Naur Explains. Edited by E.G. Daylight, K. De Grave, and P. Naur. Panel discussion in November 2010 at ETH, Zurich. Edited by E.G. Daylight and S. Nanz. Top researchers debate whether any real progress has been made during the past decades and how to distinguish between good and bad software.